LASPOTECH HND admission list (first batch) for the 2018/2019 academic session have been released. 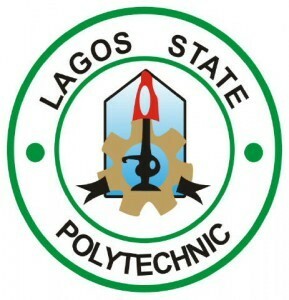 Candidates who applied for HND admission can therefore now check the released Lagos State Polytechnic admission list. Candidates who applied for admission into Higher National Diploma (HND) programmes of Lagos State Polytechnic (LASPOTECH) should take note. They can now proceed to check their names and admission status on the list. At the time of publishing this article, the first batch LASPOTECH admission list are not available for checking on the school website. Candidates have to go to the school campus to check their admission status. Please note that admitted HND candidates are advised to visit the Lagos State Polytechnic, Ikorodu campus for further screening and clearance, with their departmental registration and School Officers, before effecting their payment and registration. Kindly note that the first batch of screening and clearance exercise for HND has been scheduled to hold on Wednesday, 17th and Thursday, 18th October, 2018 at the 500-seater School of Agriculture Auditorium, Ikorodu by 9:00am prompt. Finally, we congratulate all applicants whose names are on the first batch HND admission list of LASPOTECH.